We ran into Mark Hyman and his family in Scottsdale yesterday, and we ended up discussing a very cool Pur Sang replica of the seminal Type 35 Bugatti that he has in his inventory. We quote below from the Hyman website – for the full story, visit www.hymanltd.com or call 314 524 6000. The photos are courtesy of Mark Hyman, and the vehicle is available today at $239,500. 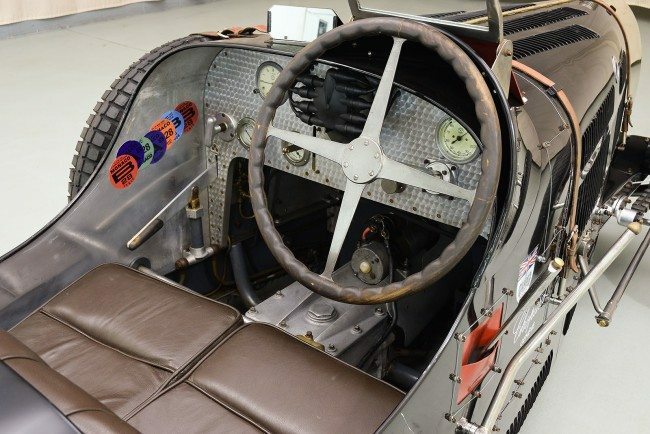 The Type 35 is quite simply the definitive prewar Bugatti Grand Prix car. Technically sophisticated and extremely successful in racing, the Type 35 is also aesthetically stunning and a pleasure to drive even today. It is difficult to overstate just how successful the Type 35 was as a race car. In its career, it amassed over 1000 victories, winning the Grand Prix World Championship in 1926, the Targa Florio five times, and the Monaco Grand Prix three times. Consequently they are worth millions of dollars today on the rare occasions on which they are offered for sale. The Pur Sang Bugattis (and Alfa Romeos) are fascinating and beautifully wrought cars that are crafted to accurately recreate the experience of some of the most legendary racing cars of all time. The company describes their facility as an atelier, and a careful examination of the automobiles they produce, as well as the manner in which they produce them, demonstrates that that term is entirely appropriate. 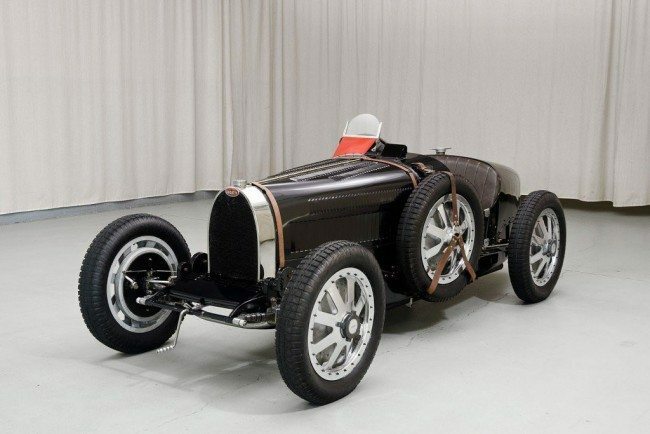 The company emerged from the restoration shop of Jorge Anadón in Argentina, who restored genuine prewar Bugattis but lamented the fact that he would never be able to own one himself. 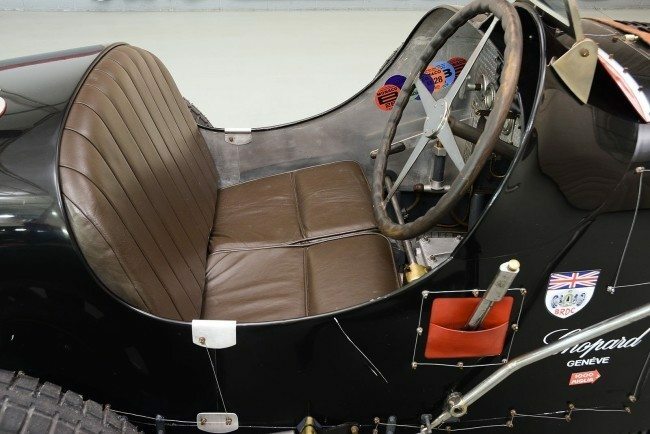 While he had one such car apart for restoration, he fastidiously measured each component and built tooling to accurately reproduce the car for himself. Although initially intended to be a one-off project, he eventually built others, and over the last thirty years, hundreds of Pur Sang recreations have been built by the skilled craftsmen who build the cars by hand using the same techniques with which the cars were originally constructed. Because the company is based in Argentina, which has strict anti-importation laws, the cars are made in house. Pur Sang has their own foundry, CNC machining facility, they make their own tires, and beat and finish their own aluminum panels using an English wheel. The accuracy of these cars is extremely impressive. Experienced car enthusiasts would be extremely hard-pressed to determine that these cars are not originals, and indeed, most parts are interchangeable with original cars. Modern metallurgy is used where possible, but the engine retains the overhead camshaft 3 valve layout of the original cars. Departures from the original cars are few and carefully chosen. In addition to metallurgical advances in components such as the engines, the cars can be equipped with modern distributors, alternator charging system, and electric cooling fan, all features with which this particular example is equipped. Additionally, this car has a plain bearing crank instead of a roller bearing crank which requires rebuilding every 5000 miles. The engine is otherwise as original, and is a supercharged 2.3 liter inline-8 cylinder that produces 170 to 180hp on the dyno compared to the 140hp originally produced by these cars. Coupled with a weight of 1800 pounds, the performance is impressive, considering the design is nearly 90 years old. Cosmetically, the car has a fantastic patina that further emphasizes its already authentic presentation. 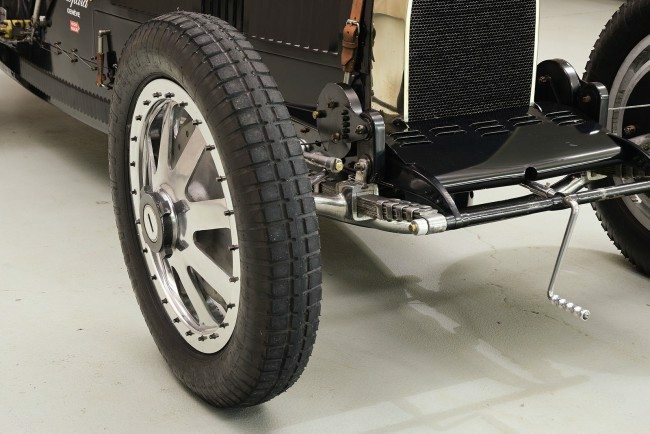 Every detail of the car looks and feels authentic from the cable operated brakes to the finishes on the leaf springs and wheels. Safety wiring is employed throughout and the proportion, look, and feel of the mechanical and cosmetic aspects is absolutely spot-on. The paint is in very good shape but does have a few small cracks, swirls, and light wear. The brightwork and metal trim are very nice as well and the overall presentation is consistent with that of a car restored (or in this case built) some years ago, used regularly, and never neglected, with a pleasant honesty that is all the more impressive given that this is a Pur Sang creation. The interior is similar with engine turned aluminum dashboard, plain aluminum inner panels, nice leather upholstery, and authentic instrumentation and controls. The routing of mechanical components, be it the shifter or sump oiler, is all authentic, and petcocks are present in the fueling system just as they would have originally been. The steering wheel is excellent and does not appear too new, like the rest of the car. 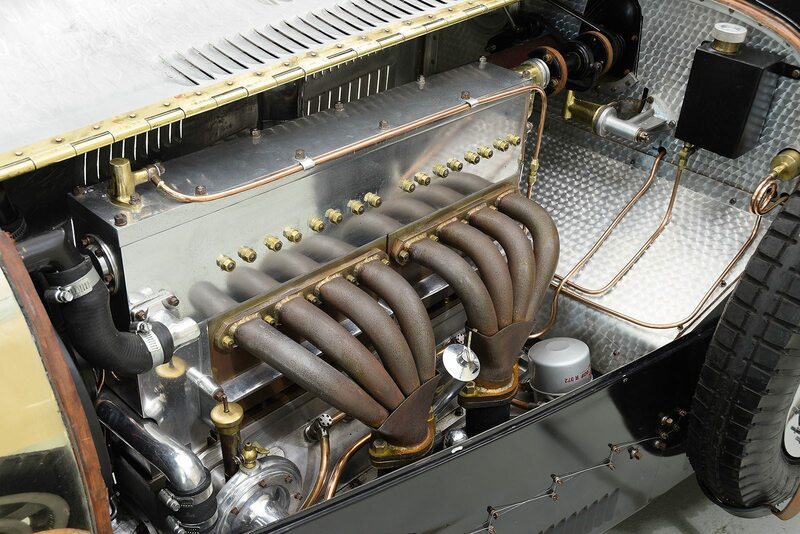 The engine compartment presents similarly, with the same jewel-like character to the mechanical components that distinguishes all Bugattis of this period. The engine, firewall, and supercharger are all works of art and reproduced with fantastic authenticity. The components are clean and nicely detailed, although not spotless, again consistent with a car that has been carefully enjoyed. One of the very best things about this car is that it begs to be used. While original Type 35s are worth millions and are irreplaceable historical artifacts, this car can be repaired by its original manufacturer should anything happen to it, but also accurately captures the intoxicating directness and mechanical character of one of the greatest cars of all time. Thoughtfully but subtly upgraded for enhanced usability without in any way diminishing the experience, the quality and craftsmanship of these cars is absolutely tremendous and deeply impressive. Add in the interesting psychological effect of reconciling the car’s profoundly faithful presentation with the fact that it is not a Molsheim-built car, and the result is an intoxicating automobile that represents superb value and a truly special driving experience. If you have a Bugatti or another collectible you’d like to insure with us, let us show you how we are more than just another collector vehicle insurance company. We want to protect your passion! Click below for an online quote, or give us a call at 800.678.5173.